Energy Savings: Why Should We Be Concerned With Energy Conservation? Energy is ubiquitous. It is required for everything. Although the total energy is a conserved quantity, the quality of energy degrades when energy is used. This is why it must be conserved. Improving the energy efficiency, implies doing better with less energy. The efficient use of energy saves money. Every year we seemingly use and degrade about 400EJ (EJ = ExaJoules) of energy. 1 ExaJoule = 1,000,000,000,000,000,000 Joules. This amount (of energy use per year) is growing rapidly and so the quality of available energy is decreasing. All of us must do our part for better management of energy. One way is by utilizing SmartThermal devices. These are new machines and devices which considerably reduce the end-use energy required for a defined objective. A few such devices are discussed below. Smart Efficient Sustainable are the keys to success. Computers were miniaturized with smart materials. Now thermal devices are being miniaturized by advances in nano-materials processing. Spurred by the understanding provided by clean energy and modern thermodynamics, good progress has been made in the development of smart energy devices. A range of industrial-use smart- products that perform the same objectives as before, but with lower energy use (by >90% or more improvement), have now become available. The US manufacturing sector accounts for almost 10% of the GDP and uses almost 30% of the energy generated. Almost half of this energy (thousand-trillions of KiloJoules per year) is used for steam and process heat (reference from DOE publications). Any improvement in this usage is expected to help with common energy issues as well as save considerable money. When energy is used for an objective, it is often used in in a manner that changes the type of energy employed and almost always degrades the quality of the energy used. Any energy-conversion device for an objective - such as lighting, anti-bacterial steam production, process-heat generation, or for transportation, can be thought to be a machine. Such machines are rated by their power. Power is the measure of the rate of energy conversion. The most commonly used engineering units for power are Kilowatts (i.e. Kilo-Joules per second) or BTU/hr. 2 kW = 6,829 BTU/hr. The 2 KW number is an very averaged value for daily use devices used for cooking, lighting, drying, ironing, transportation and other devices commonly used in a US household. As suggested in one of the articles in the Journal "Nature", Oct. 2017 issue, the use of high temperature and high temperature transfer of energy can lead to some of the best efficiencies and best productivity enhancement for many processes employed for materials and energy conversions. This is the MHI specialty. 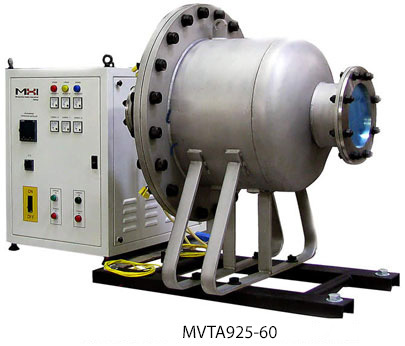 MHI manufactures devices which allow significant reduction of use in the energy-required downstream, whether it is processing with superheated steam (compared to normal steam) or it is the manufacture of friction free surfaces with the cascade e-ion plasma (compared to standard plasma). For most individual users, a useful energy efficiency profile and related cost savings is enabled by using lesser power for the same process objective in a shorter time. Most often, this is best enabled by the use of high-quality, higher-grade energy that is deployed by a modern smart-power device. Such devices are now used in both the commercial and industrial sectors. 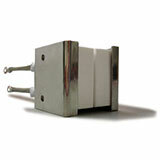 Electric high-temperature devices are an important group of smart power devices. 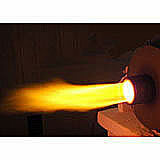 MHI specializes in high temperature materials, devices and controls. Great scientists, mathematicians and technologists - several mentioned below, have influenced the development of smart devices. The formal understanding of the principles of energy conservation (The First Law of Thermodynamics) with "heat" and "work" equally included in the balance, arguably began with Nicolas Sadi Carnot (1796–1832) Julius Robert Mayer (1814–1878) Rudolf Julius Emanuel Clausius (1822– 1888) James Clerk Maxwell (1831 –1879) and James Joule (1818–1889). The main laws of thermodynamics are (i) the quantity of energy in the universe is conserved - confirmed by a remarkable analysis made by Emmy Noether (1882-1935) and that (ii) energy possess both quantity and quality type properties - firmly established in the 20th century. Simultaneously, the energy pricnciples of chemical reactions, light, and ionic species were brought into the fold of thermodynamics and quantum mechanics by great scientist like Théophile Ernest de Donder (1872 –1957) Hermann Ludwig Ferdinand von Helmholtz (1821–1894) Max Karl Ernst Ludwig Planck (1858–1947) Albert Einstein (1879–1955) Josiah Willard Gibbs (1839 –1903) Alan Mathison Turing (1912 –1954) Ludwig Eduard Boltzmann (1844–1906) Boris Pavlovich Belousov (1893–1970) Lars Onsager (1903 –1976) Richard Phillips Feynman (1918–1988) and several others. The mathematical results on the organizations of numbers and their related patterns, as advanced by Srinivasa Iyengar Ramanujan (1887–1920) is now playing a growing role in modern thermodynamics analysis by relating to ideas regarding physical patterns that are observed all across nature. The deep understanding of physical patterns is the basis for many types of optimizations and for smart-device evolution/manufacture. The latest progress in the field of thermodynamics is concerned with the rate of maximum entropy production density for describing processes/patterns and quantum entanglement. Regardless, some concepts such as dark energy and the quantized states in nucleons remain somewhat unknown. Energy is commonly measured in Joules (J). In Physics, natural units are used for energy reporting, namely the Planck energy unit (Ep) which is equal to 1.956 x 10^9 J (about 2 Billion Joules). The estimate is that we use more than a billion Planck units of energy every year. The typical order-of-magnitude power-rating for commonly used devices is shown in the table below. The lower number in the range within a category, are offered by the new Smart-devices that consume less power compared to traditional machines. The order of the unit price paid in the US for power consuming devices is also shown in the table below. The lower power-use (kW) devices, when they perform the same objective, in a lesser time, compared to the higher power traditional devices, are often referred to as Smart-power devices. Smart power devices tend to be energy efficient, offer low foot-print/weight and increase productivity and lower pollution. One may expect to pay about $1 or more per watt (in capital costs) for a SmartDevice that produces heat or work as the objective, especially if the device is flameless and particularly if flameless and non-toxic i.e. no Methane/CO/CO2/NOx is produced or leaked at/by the device. "The best ideas on how to do our part to assist energy efficiency with smart power devices include the use of lower amounts of high-grade energy compared to the use of large amounts of low-grade energy for the same objective." Similar progress toward smart power devices has occurred in the industrial world. 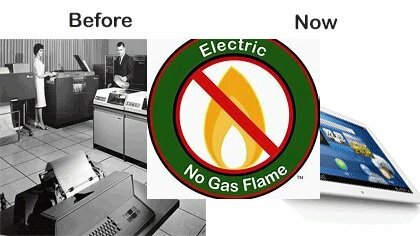 This has happened largely because modern devices are now able to use/deliver high grade energy for their intended function i.e. have evolved as smart power devices. Old surface modification (engineering) methods ~200 kW. New Cascade Ion Methods ~10kW. Energy is consumed and paid -for in units of kWhr (Kilowatts multiplied by the hours used). 1 kilowatt hour (kWhr) = 3,600,000 Joule =.03413 therms [US] ~ is priced at about (9 to 15) US Cents/kWhr. The table below gives an estimate of the possible money savings when using a more electrically efficient product. The assumptions for the calculations below include continuous use for a year and a price of energy of 1kWhr=10¢ (US cents). This is the approximate price of energy when obtained from an reservoir like the electric grid, large gasoline supply or a continuous gas supply - if energy is obtained from a drainable battery, the price per watt could be even four times higher. What is Energy? What is Quality of Energy? The latent ability to carry out an objective. Energy has at least two characteristics associated with it, (a) the amount (of energy in SI units of Joules, J) and (b) the quality of energy, a more relative measure inferred by calculating the a loss of potential following an energy-use process (units of Joules per Kelvin. per mol/m3 i.e. J/K.molar density). Units: Electricity (more correctly Electric Energy) is priced by the KWhr of energy-use, whereas Gas Energy (Fuel Energy) is priced by the number of Therms generated during a use. Note that 1kJ (KiloJoule) = 0.9485 BTU=0.0002778 kWhr (kilowatt hour). One Million BTU (MBTU) = 10.002 Therm [US]. And 10 Therm [U.S.] = 293.0 kilowatt hour. More..
What happens when we combust fuels for energy production. The following table shows the pounds of CO2 emitted per million BTU (~1.05 Million KJ) of energy from various fuels when combusted. Assuming that a US household consumes energy at the average rate of about 2 KW (~7000 BTU/hr) across a day, a Million BTU or KJ number is the approximate equivalent of about 100 lbs of CO2 emission per week per US household if the energy was produced by combustion (e.g. from natural gas, gasoline or oil). We have not considered the use of an automobile use in the daily energy use. How much CO2 do humans produce when breathing. The average human exhales about 2-3 pounds of carbon dioxide (humans activity averages at about 100 Watts or 0.36 BTU/hr)) on an average day ( so about about 15- 20 lbs a week). The exact quantity depends on the activity level (higher activity more CO2 exhaled). The amount of carbon that a human breathes out is almost exactly equal to the amount of carbon a human takes in (from food), minus the amount of carbon that contributes to the person's body mass. Thus the amount of CO2 that humans exhale is roughly balanced by the amount absorbed by plants and other photosynthesis type reactions. However note that the human population is roughly 7.5 Billion people. Thus preserving forests and using renewable sources for energy and not using combustion as a energy source during use is important. What is the greenhouse effect? Why Use Electric Energy? It is the Genesis of SmartPower Devices and provides a platform for non-toxic energy conversion to useful objectives. Electric heating devices do not produce Methane or CO2 during use unless specifically intended to do so for a process. What is Sustainable or Renewable Energy? The energy that we receive and convert for an objective that can be reused or is available from an infinite reservoir. Energy can be stored/available in various forms e.g. electric, gasoline-burning or from the water or wind velocity. We use this energy directly to power a device or convert it (e,g electric to heat or vice versa) for a specific objective to be carried out. Almost all the energy that we use is really a re-use, because it is the energy received previously or currently from our solar system. Some exceptions are the energy received from deep space mostly as neutrinos, gravitational and/or electromagnetic waves. Note that energy conversion from solar, nuclear or wind energy does not generally produce CO2. It is equally important not to produce CO2 at the use point. Note that the OAB® or other MHI devices do not produce any CO2 when they are used. Where possible, electric only or hybrid solutions should be employed for energy use i.e. to avoid a net reduction in CO2 production. Potential Energy, Kinetic Energy and Thermal Energy: When we use energy, it is the energy that was stored either stored in bonds,both nuclear or chemical bonds (nuclear or chemical energy potential), or in the gravitational force-fields that make water flow from reservoirs (potential energy/kinetic) or as concentrated charge carriers stored in a battery (as electric potential/field). The use of kinetic energy is the from momentum of wind or sea waves. Thermal energy (measured as temperature) is what is stored in the vibration of molecules or smaller particles. Thermal energy is transferred as heat. Energy can be changed between energy-types although converting from one form to another may incur a penalty sometimes. Most often we transfer or convert energy as/from heat or work to a different type of energy. Energy is always conserved. Sustainable energy is commonly defined to be the type of energy that does not exhaust a source of its energy content or mass content in the near future. Or at least will not run out for foreseeable generations e.g. direct radiation from the sun. More on chemical bonds, radiation, thermodynamics....solar efficiency...., A clean energy device is one that does not produce harmful emissions (like methane or CO2) when energy is used/converted by the device. Sustainable energy leads to responsible engineering. How much does Energy cost? Very approximately about ~10¢ per kWh or ~9¢ per 0.0341 Therms [US] to most users. The price paid per unit amount of energy is very similar (to small-scale users) whether the energy is used in the form of electric, natural gas or even gasoline (a bit more variation in price is noted in gasoline). Of course, some types of energy sources are expensive for now but expected to reduce over time e.g. volcano energy. What is Energy Efficiency? Is Energy Conserved? The sum total of energy is always conserved. However energy of one type can be changed into a different type of energy (with a different quality) when used to carry out an objective. As mentioned above the quality of energy can be degraded when used. Energy efficiency is enabled by using less power for the same objective in a lesser time. Energy efficiency is also related to the least degradation type of use i.e. the least change in the quality of energy after the energy is used for an objective. Learn more about this from the second law...and also key aspects of how energy is degraded during use. If a process that uses energy for an objective also produces new entropy (units: J/K.mol) during the process, then energy used has been degraded. When new entropy is produced it is called irreversible entropy production during a process. The creation of irreversible entropy is not necessarily a bad thing, as it also often defines the shape and the beauty associated with different shapes. If the price is not that different, what does Energy efficiency mean to a user? To most individual users of energy, an improved energy efficiency implies the use of lesser amount of energy use for the same objective. Use less energy equals less payment for that energy. The price of energy fluctuates a bit from every energy provider or distributer e.g. click here. When checking for best prices you will note that the energy delivered to you whether electric or gas will cost you almost about the same per unit of energy! So the gains form better production methods could be marginal, albeit important, when offering a lower price of the delivered energy. Quality is often a comparative concept which relates to the fitness of use! High temperature energy is one form of high quality energy. In a limited sense the quality of energy is also often measured by the available work potential. Are there examples of devices that improve the Energy efficiency substantially? Yes, particularly those that use smart power. These include Efficient Photonic Devices, Efficient Cars, OAB® Steam and the Cascade e-Ion Technologies for Surface Enhancement Engineering and many more. A photograph of a modern OAB® efficient steam generator and a Cascade e-Ion that produces plasma from just air are shown below. These are new transformative technologies for improving energy consumption with the use smart power. New Concepts in Energy Use: A developing new law of thermodynamics to predict how shapes of things evolve...link here for an update. It is a current topic, not yet fully understood! High temperature equals higher productivity. 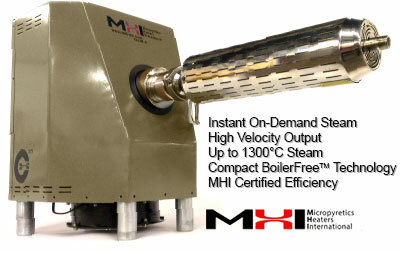 Use high temperature SmartSteam instead of high amounts of low grade energy. This is smart power usage. Does Energy Efficiency also imply less Pollution? Yes. When energy is used (i.e. spontaneously transformed from one state to another), it is degraded. Degraded energy is lower quality energy, often which also directly or indirectly enhances pollutants. Improving speed with less power. In industrial processes, an improvement in the heat transfer rate (speed) becomes more critical as production demands increase. MHI provides best rates not only for power machines coupled with energy efficiency but also often for the financing options for your success. Financing solutions include the enabling of monthly payments. Approximate payment calculator (please click). Please compare to the Return on Investment (ROI) for an estimate of net earnings per day. Broad examples are given below, however please contact MHI for accuracy and applicability to your specific use. ROI Scenarios. Please contact or call MHI sales for details for your use. Some of the returns on investments can be very large. In the case of OAB® products for certain CPG or hydronic heating, the power-savings could be in the range of 30% to a whopping 90% in certain scenarios. For some of the Nanostructured GAXP® heating-element configurations, a good scenario, based on a four year amortization schedule shows that a $13K investment per month can lead to a $1M return when properly installed - i.e. a large monthly net savings. 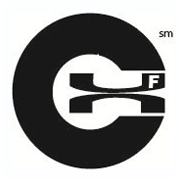 For certain Cascade e-Ion™ applications. a 2K monthly investment may return a 100K monthly net savings (four year amortization). A relatively light $312 investment in a modern Airtorch™ system for enhanced and environmentally friendly die-heating, can lead to a $14K monthly net savings (four year amortization scenario). Scenarios will differ for the ROI for every client and every installation and the best estimated ones are cited above. Please contact MHI for discussion of your specific use and for assumptions made for the scenarios above. MHI has invested not just in creating and patenting energy efficient technologies but has gone several steps further by commercially producing devices and creating a large group of satisfied customers. We look forward to adding your name to the hundreds of satisfied MHI customers. In today's manufacturing-world, significant savings can be had from reduced energy use, better environmental performance and improved outcomes of an new enlightened plant. MHI devices are fundamentally structured to provide these three benefits. The technology for heat-energy production has greatly improved in the past ten years with nanostructured GAXP®, Airtorch, Cascade e-Ion and One Atmosphere Boilers (OAB) leading the way. In the table below, an approximate calculation shows savings from using a more energy efficient machine. The assumptions are 1 year of continuous use and 10¢/kWhr. It is clear that modern thermal energy devices can provide good value. MHI is a choice that many users have made to help save energy and the environment. Please review testimonials. This return on Investment (ROI) analysis is very approximate. Savings and benefits to user could be more or less than presented above. Calculations shown are meant to be indicative and will vary for specific applications, equipment and use conditions. This is an approximate guide and the template should be modified for customer’s specific use. Interest rates, energy costs, equipment cost and other costs used in the analysis are subject to change at all times. MHI does not guarantee or warrant any specific ROI analysis that a purchaser may use in their decision making process. The responsibility for an accurate ROI calculation rests solely with the buyer/user. Financing is not guaranteed and depends on several factors that are not in control of MHI. To understands the basics of energy and power, please click on MHI 101 Power and Energy tutorial + calculator. Public-Private partnerships exist all over the world for improving energy efficiency. Some are briefly discussed below. The following external links are provided as a public service and not intended to create any relationships. Energy Efficiency Help: Please use the DOE link below to search the State Incentives and Resource Database. The State Incentives and Resource Database is designed to help those seeking to make energy efficiency upgrades to their facilities. It is a repository of energy incentive programs, tools, and other resources for commercial and industrial energy managers. Incentives and resources are available at the national, state, county, and local levels. Power utilities, private companies, and non-profits also offer incentives for energy efficiency measures including rebates, waived fees, tax credits, and loans. Resources include analysis tools, education and training programs, and energy audits. EPA Funding Opportunities for improving energy efficiencies. Environment Help: The generation, conversion and use of energy can affect the environment. The United States EPA's regulatory and voluntary programs foster more responsible production and use of energy resources. The link below enables you to learn more about important energy topics and locate information about EPA energy programs. EPA Clean Energy contact: State Utility Commission Assistance (202) 343-9631. http://epa.gov/energy. Today, you may be able to quickly capture the value of energy savings to you with many of the programs offered by various governments and utility companies. MHI can suggest methods to help you establish energy efficiency with MHI products and technologies. Given below are US based links to on-line resources and programs that offer incentives and rebates for energy efficiency and emissions compliance. There are similar energy programs in almost all countries. You could consider using some of these programs to secure low cost loans, grants and energy rebates to purchase MHI energy efficient products. For many typical configurations and uses, the GAXP and Airtorch efficiencies could allow about 10kW savings, Cascade e-Ion and OAB solutions may allow over 100kW and more. MHI furnaces also offer fiberfree™ insulation and special nanostructured roof hangers. Please contact MHI and join the SAVINGS newsletter. Regulations and Green Offerings: Pressure certificates, ASME and local government regulations however vary considerably and could change so please confirm with local authorities. Please click here to review some of the codes posted on the web. Steam generators that operate at One Atmosphere (like OAB's and HGA's and others) may not need certifications. 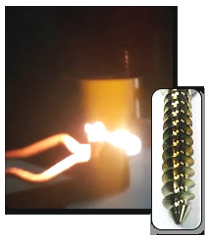 Use powerful CleanElectricFlame™ for continuous VOC removal or use for rapid heat treatment and/or surface treatments like finishing to hardfacing. The operating cost estimate per pound of VOC removed is about ~0.5¢*, for normal ppm level contamination concentration removal. Compare with over $4/lb of gas treated. Please contact MHI to verify calculations. Some users choose the e-ion for sustained self combustion in coal/coke. The aromatics appear to be reduced although the data is only now slowly becoming publicly available. Please contact MHI for estimated savings for deposition or surface treatment type applications applicable to materials from soft-plastics to hard metal-composites. 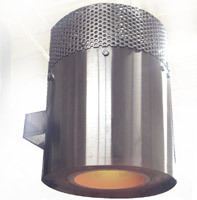 Consider replacing Flame, Induction or Laser type processes. Please click on picture for details or contact MHI. 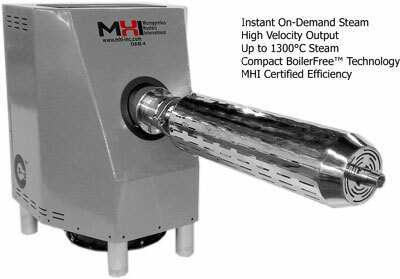 Waste less power during conversion or eliminate combustion flame from your process with the MHI GEN3 LIP System. 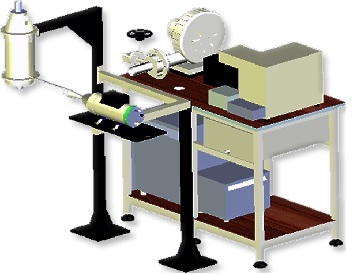 Typical Size/Footprint: A typical ~ 6.5kW e-Ion Plasma™ configuration fits on half a standard sized desk-top table. ...and many more at www.mhi-inc.com. See testimonials. See typical economics. See success for customers. Energy Units Conversion. Basic Energy Learning Center (MHI101 ENERGY). Trademarks and copyrights belong to Micropyretics Heaters International Inc. All materials on this website is copyrighted.